Subtext label boss Paul Jebanasam is one of several Bristol-based musicians blurring boundaries between contemporary composition, process-based recording and the colossal physicality of sound system culture. 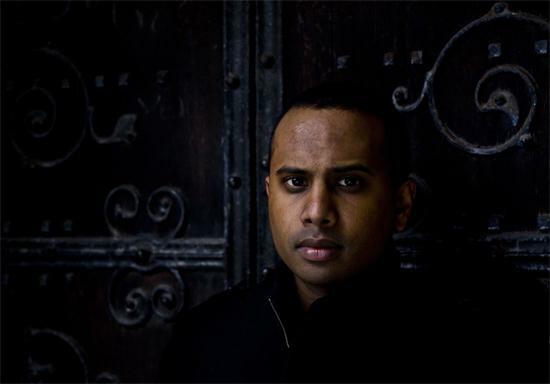 With his debut album just released, he explains to Pavel Godfrey how "melody has a way of surviving everything"
On his debut album, Paul Jebanasam generates a sprawling shadow-world. We’re called to Rites with something like the blast of a ram’s horn. A distorted choir creeps in, cycling slowly through solemn chords, each line descending from a summit to the deep. Their hymn to who-knows-what resounds in a cavern. Gusts and currents rush to unseen openings. Across 35 minutes the music repeatedly climaxes with hissing, crackling force, the spark of raw electricity and slow motion blastbeats. As the album moves into its final section, under layers of strings a root note slowly shifts, carving out massive chord changes. It sounds like tectonic plates are tilting. Rites is not a hermetic fantasy, spun out in solitude. As head of Subtext Recordings, Jebanasam has released excellent albums by fellow Bristol dwellers Emptyset and Roly Porter, as well as his own 2011 live recording, Music For The Cathedral of St. John The Baptist. Together, the Subtext artists form a tight micro-scene, linked by an endless weave of conversation about music and ideas. Subtext is part of Multiverse Music, a Bristol collective that also houses the vanguard dubstep label Tectonic Recordings, which released Jebanasam’s earlier work as Moving Ninja, and also a few tracks of Roly Porter’s work as half of Vex’d. Where his Moving Ninja material riffed on ideas of club music, Jebanasam's work under his own name is a clear departure from the dancefloor. His dubstep roots form a foundation, but his new work has much more in common with modern classical, dark ambient, and metal. If anything, it’s exploring new ways of making ritual industrial music. Like Coil's Jhonn Balance and Peter Christopherson - whose music Rites frequently recalls - Jebanasam is fascinated by the relationship between text and music, but he writes no lyrics. Jebanasam’s text instead is implicit within the music - unsung and unwritten but always open and malleable - and is brought life by the arrangements of the pieces on Rites, where the shape of the beat and the gather-and-release motions of white noise are in continual motion: flowing, bending, singing. As much as this melodicism suggests a Romantic freedom, Jebanasam's music is also influenced by the rigors of process-oriented composition. His work fixes sonic patterns and passes them through a kind of sacred machinery - devices that veil or unveil. Rites may not be religious music, but it speaks the language of theology and wields the power of myth. With Rites just released, the Quietus caught up with Jebanasam via Skype to discuss how both Arvo Pärt and Cormac McCarthy influenced his music, the hum of the electricity grid, and an early love of White Zombie. You were doing Moving Ninja for a while before Rites. How do you understand the shift between that and this? Do you see them as related? Paul Jebanasam: I was doing Moving Ninja when I was living in Sydney, really. And when I got [to Bristol] I did a little bit of it, and then Rob [Ellis, aka Pinch], who runs Tectonic, suggested that I do an album. And somehow that question - "What would this be like in album form?" - started the ball rolling, and then I went off on all these different tangents for ages. I think Roly’s probably said this as well, because we have a similar way of relating to dance music, but it’s the intros, the breakdowns, and the sections in between - you end up getting deeper into those. Or I did, anyway. And then you’re expanding out, and in that space you can bring everything else in. There’s no more sense of those dance rhythms, you’re just filling in this gap. So I guess that’s the connection! So the transition becomes the totality, and frees you from filling in sections of beat on the grid? PJ: Yeah, when I was doing Moving Ninja I would spend more time on the intro than anything else, almost in an over-the-top way with intricately detailed little movements, even though it wasn’t something people would actually listen to often. If it’s a DJ with a record he’ll skip past it, and no one ever hears it. Which I kind of like in a weird way… But now I’m just going further down that path. The press release mentions your study of liturgical music. Was that something you did on your own, or do you have some formal training in classical composition or something? PJ: That was a personal kind of study. When I was in Sydney I did computer science and then, after that, went to art school and did sound and film. So all my stuff with sound was much more in an art school kind of way, with film and installation and so on. The liturgical stuff was more about tracking down scores of things I was really into. I started with recent things like Pärt and Tavener and then went further afield, just pulling them apart and looking at them, at these machines, and seeing how they work. I looked at YouTube clips of these amazing performances of Korsakov’s 'Our Father' by a local church choir, and I kept on going back to it. It’s so simple but you can just listen to it forever, it’s strange. So the first piece ['Rites I'] is really getting deeper into that style of writing and trying to understand it. At least once every two days I’m listening to a Pärt piece, I think. Pieces like 'Für Alina', that seem like they can go on forever. Have you heard it? No, I have not. How does it work? PJ: It’s a really simple piece. The sheet music for it is only two pages, there’s no time signature, and the whole thing is based on a very simple rule that you can play at any speed, or ideally you should play quite slowly. It can just go on forever. It’s like listening to a wind chime. It’s similar to other stuff in that minimalist box of process-led things, in the way that it’s almost not music, it’s simply a rule. You do this with your left hand, and when your left hand does this your right hand does that, and while you do that, just… keep doing that! And you can keep going forever. And the piece actually only goes for a few minutes, but the ECM version is like ten minutes long. There’s two recordings of it, and they can just go on forever and ever. So how did your interest in liturgical music change how you understand sound? It must have taken you to very different places. PJ: Yes, it’s a kind of humility, the sense that sometimes music isn’t about a personal statement. When liturgical music is sung you don’t clap. It’s not a typical performance, where the listeners are an audience, and it’s not about you saying "I, the artist or musician, want to say this particular thing." Generally when someone’s setting text it’s about bringing out the idea of the text, and creating a space and a ritual that allows people to engage with it. That restriction can be really powerful, because you have this thing that you’re meditating over, and everything is coming from it. You let go slightly, and say, "This is just going to go like this because that’s how it goes." A lot of Pärt’s work is text-based. He even has pieces for orchestra where he’ll let the amount of syllables and the phrasing of the words dictate the notes, and the length of the notes, and how it unfolds. It’s like a total reinterpretation of the text. Or, not a reinterpretation, but a representation of it. It’s the text; turned into notes. You could say "Oh, Pärt, that’s an amazing piece!" And he’d say, "Yeah, but that’s the text. I’ve just applied a machinery, a mechanism, to this set of words." If you listen to it you’re just experiencing the words. And that, as a way of approaching sound… I’m still getting my head around it. You’re revealing the text or uncovering it, showing it to the listener in a certain way. That’s one thing I really like about this album, and also about stuff that Roly Porter and Emptyset have done. When people work with sound in this very sound-conscious way, they can be allergic to meaning and semiotics. But for you all, the label is called Subtext, and you’re actually concerned with text in some way, at least implicitly. Is there a submerged text or a meta-narrative to Rites? PJ: Yeah. So Roly’s working on something now that is really, really text-related, and incredibly structural. [Roly's debut album] Aftertime was, too, but this is really something else. Most of what we do comes out of these conversations we have. There are so many late-night, pub-related conversations - ok, all happening in the pub, let’s not pretend it’s over coffee or anything! - with James [Ginzburg] and Paul [Purgas] from Emptyset, where we get into ideas about people’s beliefs, and things we’ve read, and movies we’ve watched, and so on. It all comes from that. It’s exciting that we can, through the thing we do, which is sound, talk and think about these things in the way that literature does, and cinema does. And then we can play it for each other and Roly says, "Yeah, this track is totally about the end of the world, and space." And I’m like, "Yup, it is. Good stuff!" James introduced me to these short, supernatural horror stories by a writer called Algernon Blackwood, and they totally blew me away. And then of course our conversation turned to how cool it would be if music could communicate this or that idea from The Willows. Are there any other important textual reference points for this? Other works of fiction, or philosophy, or mysticism? PJ: Yeah, in a way it’s trying not to do it too explicitly… But definitely Cormac McCarthy, like Blood Meridian. And I guess Hermann Hesse, as well. Not too much philosophy. Before I got here I read more of that stuff, but I’ve left a lot of that behind. So maybe there’s impressions of it, but not a lot really. PJ: Well, Manuel De Landa, who seems to be responding to people like Deleuze and Guattari, some of his stuff still lingers in my mind. His really abstract ideas about machinery and assemblages often come into thinking about processes in electronic music. So I guess it’s still in there. But it’s kind of nice not knowing how it’s in there, or how different things are interacting. How did the Music For The Cathedral of St. John The Baptist prepare you for this? That definitely seems like an earlier working-out of some of these ideas. PJ: That concert came about because we’d just started Subtext and we wanted to do a launch. And there was this underused church space in Bristol. That was the original idea, before any musical ideas - we just asked ourselves what kind of concert we would make, and what would we do with the space. Aftertime was coming together at that point, for Roly. There’s a video work that went along with it, so the music was very much a part of a whole event. We put a big projector screen in front of the altar. There was a moment when it was just this strange explosive light happening. There’s something about getting people in a church and playing really loud bass, and noise, and everyone staring at this thing that looks like a star. Is there a visual dimension to the album too, then? Does the album cover play the same role, of an anchoring image, for Rites? PJ: Yeah, yeah, definitely. About a year ago, when I was starting to bring some of these ideas together and record them, I was looking at a lot of paintings by Rothko and Barnett Newman. 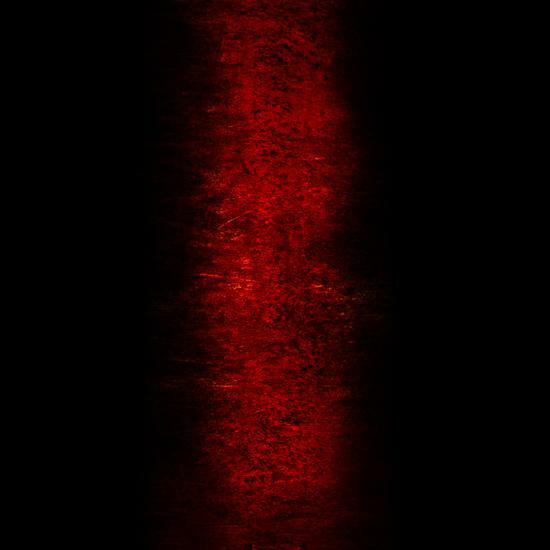 There’s a particular one, at the Rothko Chapel, that’s like a triptych, and it’s very similar to the cover of Rites: it’s this red glow in the middle of a black space. And that’s a central idea I kept on revolving around. If you were moving through that painting from left to right, there would be this… thing that would kind of emerge, and when you were in the center of it, it’d be glowing, and then it would just fade away. And you’d return back, on the other side, to where you were. I was trying to look for artwork, for the cover, and I couldn’t find anything, so James was like, "Aw man, paint something! It’s literally just easier." It’s good when someone suggests something, pushes you out of what you were previously thinking. I’d never thought of that as an option! That morning I was like "Alright, cool, let’s just do a sketch." Then we just scanned it and processed it a bit. I was like, "Ah, I’m a painter now. Tremendous!" But yeah, I’m really happy with how that turned out. It’s funny you look across the canvas left to right. I looked at it up and down. I saw the pillar-ness of it, or the river-ness of it, the sense of verticality that you get from some of those phenomenological paintings. And like Newman, you’ve got something that appears to have a columnar, rectilinear form, but the closer you look at it those boundaries dissolve. PJ: I think that’s almost like captured motion. It relates to the other central image or idea - finding a place of warmth in a cold, empty space. (It’s more of a story-based thing that I tried to relate to delicately, so that the album didn’t become an actual story.) I was never really religious, and I’m not now, but when I was really young my sister and I used to go to church with my parents. At that age you’re scared of ghosts and demons and the dark, and if I was afraid I would sing or hum a tune I remembered from church. Often it was my sister singing, she still does. I had this sense that, by singing a tune that belonged to that sacred world, I was somehow evoking its safety. So the idea of 'Rites: III', the middle piece, and the red glow in the middle of the black space, is that little melody inside. You’re crossing this blasted landscape and you find this chapel, and you can stay there but only for a night, and then you’ve got to keep moving. There’s a little bit of fire there, but that’s going to go out. 'Rites: III' is that moment, that flame in the middle. On 'Rites I', are those strings? PJ: Yeah, just voices. The great thing about voices is that they can play really close harmonies, but then you can kind of destroy them, and they’ll still be there. Other things will start to fall apart - I find distorting strings really tricky, and I generally don’t like the sound of distorted strings - but there’s something about human voices, they can withstand the pressure of so much stuff. You can push huge amounts of bass over the top, and they’ll be really intricate, and moving, and in semitones, and you still hear it perfectly. What you said about things being in motion… You’re not really doing dubstep anymore, but everything here wobbles. You’re attuned to the vibrational quality of the sound. How did you bring that out? PJ: I think that’s just the nature of having an affinity for that sensation. Wanting it to be physical music, in a way, which I guess string music doesn’t naturally do as well. And because Subtext is based at Multiverse, we’ve got really big speakers, and a room that’s perfect for bass. Any time we’re working on something it just draws us in, we want to make it a physical experience. Like on the last track, which has quite high string parts, just to put a rumble underneath it and feel that atmosphere. I’m also curious about the drum sound. What sort of drums were you using? Oh wow, those huge bass thuds are from the piano! If you take an 808 kick, a traditional electronic sound, just on its own, it’s almost pure information, like "This is a kick." But the moment you hear it affecting something, then suddenly it becomes this threatening device. It’s a physical thing that’s moving something else, and you’re hearing that, and suddenly you know it’s there, in the room. So you wanted to hear the reverberation through the piano. PJ: Yeah, because it actually takes on a different kind of quality. So you’re looking for sounds with a strong sense of presence, then? PJ: Searching for things that bring along with them where they’re from, in some way. Or working with things like the sound of a ground loop. So the whole record is in G minor, because in England the sound of electricity - ground loop hum - is in G, or close to it. So if you get a cable and you put your thumb onto it, it’ll be in G. Which means if you just make stuff in the key of G minor, you can play ground loops and electricity. So the textures that I created for 'Rites: IV' is just ground loops, processed, it’s that hum. What I heard as the wind sounds, that sort of "Wrrrrooowwww." PJ: Yeah, all that kind of stuff. If you use raw electricity it’ll bring along its strange oscillations and things happening inside it. If you did it in another country, it’d be a different frequency - a different note, or maybe not a note. This album reminds me a lot of Coil, one of my favorite bands. Are you into them? PJ: Well, when I listen to White Zombie now it almost doesn’t have the same effect, but when I was younger it had this effect of creating something that was outside of the music. I remember taking it home, and no one was home at the time, and when I put it on I was actually kind of scared. I was like "I don’t know if I should listen to this, this is some pretty strange stuff." I felt like it was doing something to the atmosphere. The fact that it could do that, that anything could do that, that sound could do that, to actually alter the space somehow… It’s hard to recreate that, to go back to that age when you’re so sensitive. But yeah, that’s always carried across for me. And me and Roly, we still like to drive around and listen to Pantera and stuff, just to get the chug on, you know! And I really like Altar of Plagues, and Wolves In The Throne Room… That stuff’s pretty good. So did White Zombie lead into other industrial music, for you? PJ: Well, there’s so much electronics in there. The last track on Astrocreep is 'Blood, Milk and Sky', and when I heard that it didn’t feel like it was even performed. Like, it is a performance, but there’s so much sampling and atmosphere and industrial sound in there, that it felt like "Alright, this is electronic music." If you got your friends together and tried to play that track it just wouldn’t work. You’d need a computer or a tape recorder. That’s one of the bands that made me start making electronic music. How do you see what you’re doing relating to what’s going on around you in Bristol? Because it seems like there’s been a strong scene there for at least 10 years. I’ve been really into Gravenhurst for a long time. PJ: Oh, Nick, yeah! It kind of relates in the sense of conversations and collaborations with people. Bristol’s got so many different scenes, so many different micro-things going on, but they all connect. So I met Nick when he came along to a dubstep night, and he was really into bass and beats, which I wasn’t expecting at all when I met him, because I was into his music when I was in Sydney. But it doesn’t relate so much in the sense that there isn’t a series of events or anything happening in Bristol, just yet, for the kind of stuff that I and Subtext want to do more of. We’ve put on things ourselves, but yeah, there’s hopefully more of a thing that will build, to get people coming out and seeing it loud. Do you find that the space of the city has influenced you at all, say, compared to being in Australia? PJ: Hearing the systems here is completely different. When I was in Australia, there wasn’t that kind of dub soundsystem culture there yet. So coming here and going to an actual dub night, and hearing a really intense soundsystem, that has a massive impact. Never really heard anything like that before. But in terms of the environment, the city, god, it’s almost like a little cocoon we have here at the studio. We spend so much time here we kind of forget that there’s stuff actually going on out there. It’s kind of weird. Lately there’s a movement towards indirect, textural approaches. Projects like Raime are pulling the melody out of the track, or hiding it on the extreme margins. Which is definitely cool. But what’s cool about Rites is that, as much as you’re into texture, you’re also pushing melody. And that’s a bit of a shift from the sparse, beat-driven dubstep you were doing earlier. How do you see the melody in relation to the beat? How do you see it fitting into your music? PJ: I find beats can be restricting, structurally, but in a way I’m still trying to work with them. What I’m doing with melody is similar to what Emptyset are doing with rhythm, in terms of how they take information and run it through these weird processes to see what’s retained and what’s lost. With rhythmic music, if you extend it a bit here and slow it down there, it’s a totally different thing. But melodies and harmonies have a way of withstanding so many different formations and modulations. A very simple set of intervals, played with these instruments in this way, can be completely slowed down and bent and pooled, and yet still be itself. The essential information carries through, which is a really strange property. So when you’re working with textural processes melody is almost like a gift that’s been given to you, in that it’s a massive canon of material that you can feed through all these processes and it still kind of comes through. You can take sacred music and push it through all these machines and it still maintains itself. There are certain tunes - not even melodies - that have no lifespan. They’re kind of eternal. We have always sung them and we will always sing them. Like the scales that are common across all different cultures and times. There are interviews with Alan Lomax where he’s discussing shaped-note singing from here, and Bulgarian singing, and really old sacred African singing, and how there are all these similarities and strange connections between them. It’s like it’s coming from somewhere else, like there’s some deeper structure beneath it all. Melody has a way of surviving everything. Paul Jebanasam's Rites is out now via Subtext. For more about the label and its artists, click here to visit the Subtext website.